Phantom crane scale is used for weighing of the material, when it is loaded.Phantom Crane Scale enables machine manufactures, raw material seller (especially steel, iron) or manufacturers operating in various branches of industry to make quantity control, when the product or raw Material is on the crane. It is easy to use. Omega lock of crane scale is attached to crane hook. Weighing is made by attaching the load to crane hook. 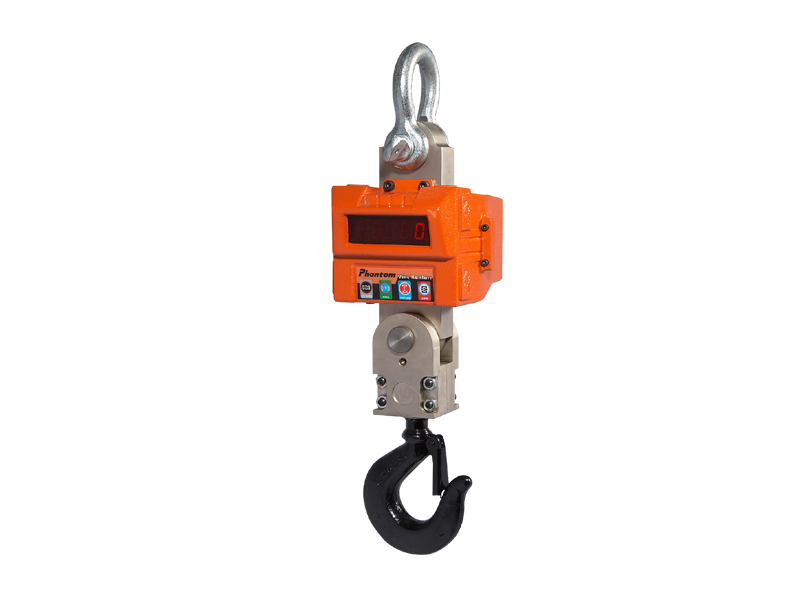 Phantom Crane Scale is able to reset, lead to deadweight and sum. It is possible to read the load value from distance points owing to its 20mm 7 segments bright display. It can be charged interiorly. Its aluminum cast trunk is coated with static oven drying to increase its strength against industrial conditions. It is produced in 1,2, 5, 8 ton capacities.